It has been quite some time since my last post and to be honest those weeks have been full. Though full they have also been productive as I have been teaching, preaching studying and reading. 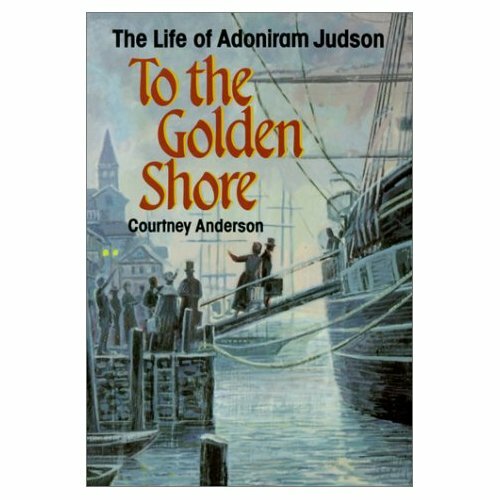 One of the books I have been attached to in the last few weeks is To the Golden Shore: The Life of Adoniram Judson. This book is about the life of the first American supported Congregationalist turned Baptist Missionary as he followed the call of God to spread the gospel of Jesus Christ to the Burman empire in the early 1800’s. It has been a riveting story of providence and pain, joys and sorrows; in a word it is a story about life. The story of a life and lives who were spent to make Christ known half the world away from the comfort of their hometowns and families. This is a heartwrenching and beautiful story of the consuming love of God that drives those who know Him and embrace His love to proclaim His love to all peoples. If you are looking for a great book to read I highly recommend this one and I am sure that you will not be dissapointed. This entry was posted in Books, Missions and tagged Adoniram Judson. Bookmark the permalink.